Are you up on all the changes that are happening with Amazon? Are you aware of the growing number of Amazon sellers in China and their tactics to get an edge over their competition? On this episode of The Amazing Seller, you’ll hear from Scott as he welcomes David Bryant to the podcast. In his conversation with Scott, David opens up about why he moved to China, what he’s learned in this time there, how Chinese sellers approach their Amazon business, what corrupt Amazon employees are doing to take advantage of their positions, and so much more! Don’t miss a minute of this eye-opening episode featuring David’s expert insights! Getting a “Boots on the ground” perspective. How can a seller like you really understand what is going on in booming ecommerce industries in countries like China? Does the average ecommerce seller have the resources and time to take a flight over there? No! Thankfully, the TAS community gets access through to a “Boots on the ground” perspective from ecommerce expert, David Bryant. David took his family to China for about a year to deep dive into the exploding ecommerce scene there and to learn all of the ins and outs. To hear all about David’s experience and how sellers like you can learn from his observations, make sure to listen to this valuable episode of The Amazing Seller! Watch out for shady tactics. If you’ve been around the TAS community for very long you know that Scott is passionate about helping sellers like you get an ecommerce business up and running the right way. There are way too many “Get rich quick” schemes out there who sell “Blackhat” tactics, few are willing to show the ethical way to success. On this episode, you’ll hear from special guest, David Bryant as he explains how some sellers in China are gaming the system by using shady tactics. The goal is to help sellers like you understand what you are up against when it comes to the competition and to explore some ways to safeguard your business. You don’t want to miss this helpful episode! Amazon is still the best starting place. 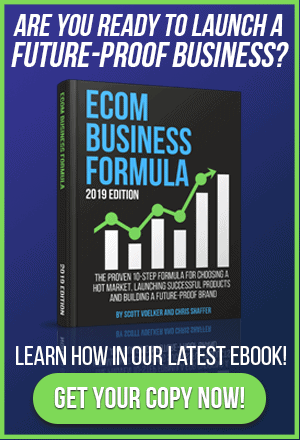 Scott often gets the question, “Is it a good idea to build my ecommerce brand on Amazon?” Time and time again, Scott goes back to his answer, yes! In almost every case, Amazon is the best location to get your brand off the ground and gaining momentum. Why is Amazon the best platform? It has everything you need, already baked into the platform! Once you’ve built up that brand and you get to the point where things are running smoothly, then comes the next phase, building a channel outside of Amazon. To hear how Scott has seen this whole process play out successfully, make sure to listen to this episode of The Amazing Seller! 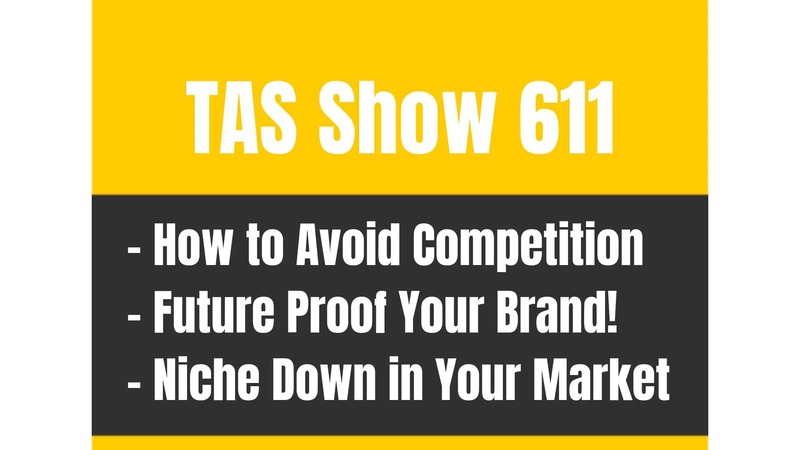 Don’t rely on Amazon alone to build your brand! One of the primary takeaways from David’s helpful insights about his time in China is this, make sure to expand your business off of Amazon! While it’s still the best place to start, you can’t expect things to stay the same forever, you’ve got to diversify. Scott has seen too many businesses go under due to the fact that they failed to seek out additional channels that would have allowed them to put their brand in a position for long-term success. You can do this, you can start right now by brainstorming different channels to expand your brand too. To hear more about this important topic, make sure to listen to this episode of The Amazing Seller! [5:10] David Bryant joins the podcast. [7:00] What led David to move to China with his family? [9:40] How are Chinese Amazon sellers approaching their business? [12:00] Buying fake reviews and other, “Blackhat” tactics that are popular in China. [18:00] How corrupt Amazon employees are abusing their power. [23:40] Why people can still “Game” the Amazon system? [26:00] Yes, it is still a good idea to start your business on Amazon. [27:00] How internal seller reports are being used by corrupt Amazon employees. [33:30] Why Chinese sellers are using multiple seller accounts. [40:15] Closing thoughts from Scott. …sellers that are only selling on Amazon and also just anyone selling on Amazon, but for the people that are building a business on Amazon or most of your sales comes from Amazon, you definitely, definitely want to listen in on this episode because I actually have someone coming on. His name is David Bryant. He was actually on Episode 330. He’s got an interesting story because he actually went undercover in a sense after he had built and sold an e-commerce business and he actually got a job as an employee inside of Amazon FBA to kind of see how it all works and what happens on the inside. And he learned a ton there. He shared a ton. He worked there for about a week and I think he said it took him like a month or two to get paid which is kind of crazy but in this episode, he is actually going to really go through some things that he discovered. He actually lived in China I think it was end of 2016 and into 2017 and just listening to other sellers that live there, whether they’re Chinese or not but just what’s happening and some of the black hat stuff and some things that it’s just unbelievable that this stuff is actually happening. So, this isn’t really to scare you in a sense. It’s to get you to wake up a little bit if you haven’t started to think about your external channels and building your brand and all of that because this here is proof that it’s pretty scary out there and it’s only getting more competitive and if you’re not a brand, if you don’t have those outside resources, and all that stuff, it can be very, very scary. [00:02:03] Scott: And the title of this is Amazon Sellers at Risk By Thieves and Fake Reviews and Multiple Accounts and inside employees pulling reports for people that want to go and find the best products by looking at keywords and just it’s insane. So, listen up to this episode. David Bryant is going to break down everything. His other episode is Episode 330. I will link everything up in the show notes. Again, that’s TheAmazingSeller.com/581 and let me just say that I’m not saying this for you to say, “Well, I don’t want to launch on Amazon.” That’s not what I’m saying here at all and that’s now what he’s saying and you’ll hear us talk about that. It’s about being aware that this is happening and then really focusing on building a brand and customer service and outside channels and all of that stuff because that is going to be so, so very important. And that also leads me to a quick little note here I wanted to throw in there. If you are at the level where you’re doing at least $25,000 per month or more and you are at this stage where you’re like, “Okay. I want to grow but I am still dependent on Amazon and I want to learn marketing,” and you want to surround yourself with people that have the same mindset then I would love to invite you to our TAS Inner Circle. Now, it’s by application only so I’m not saying that everyone is going to be a good fit but we are looking for our next group. Right now, we are working with our first group but we are looking for our next group right now and we’re filling spots in that as we speak. So, what I would encourage you to do, if you’re interested in surrounding yourself with like-minded people, also people that are at a little bit of a higher level, in some cases a lot higher level but really focusing on how to build a real business, a real brand, and thinking a little bit outside the box and surround yourself with action takers because things happen when you take action. I think we all agree on that. [00:04:07] Scott: So, if you’re interested and you think you’re at that level and you want to apply, again not everyone is accepted, it is TASInnerCircle.com is the link. You can go there, read all the details, who it’s for, what it’s about, and all that, and just fill up that application if you’re interested, again, if you want to be considered. So, again, that is TASInnerCircle.com and, yeah, I would love for you to be part of this if again you’re a good fit. So, definitely go check that out. All right. So, I’m going to stop talking now so you can listen to this the very, very important interview that I did with David Bryant and all of the ins and outs and again, just you might want to go back listen to this again but you also might want to just be thinking about your own brand, your own business right now where you are, and what you should do moving forward to protect yourself. All right. 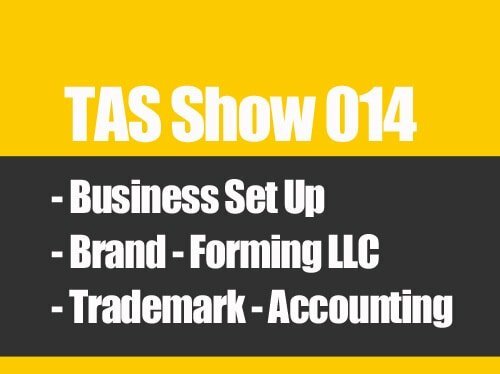 So, enjoy this interview and definitely make sure that you look at your business after listening to this and seeing where you can make improvements. All right. So, enjoy. [00:05:08] Scott: Well, hey, David, thank you so much for coming on the podcast, man. How you doing? [00:05:12] Dave: I’m doing well. I think it’s been almost a year since we last talked. I think the last time we talked I just finished up working on Amazon FBA warehouse for a week. So, it’s great to be back on. [00:05:22] Scott: Yes, yes, and you’ve got some more dirt that you’re willing to share here, not from your working on the inside of Amazon, but there’s some things that have kind of gotten your attention and you’ve kind of emailed the message to me and I know you wrote a blog post about it and it’s pretty scary stuff, to be honest with you, and I think another reason why we should be looking at building our brand and not just relying on the one channel. But I also wanted to kind of dig in like what are some things that we can probably look out for as Amazon sellers and selling on their channels. So, yeah. [00:05:56] Dave: Yeah. Absolutely. I think the biggest key is people being aware of what’s going on and obviously this stuff that I’m going to talk about are things that most sellers are going to want to actually employ in their own businesses but being aware of what’s happening is going to help everyone just be aware of it and be on guard for it. And there are some steps you can take to mitigate the chances of anything nefarious happening to you as well. [00:06:17] Scott: Yeah, I know. I think that’s important because a lot of people aren’t – they’re not like thinking like there’s these people out there that are actually creating multiple accounts or doing these fake reviews. I mean, we know fake reviews have kind of existed but are they still? So, really, I want to hear more of your thoughts because I know that you’ve done a little bit of investigating and you’ve got some findings so let’s hear all the dirt. Let’s hear all the dirt. [00:06:46] Scott: Yeah. And so, why don’t you just kind of lead us like what got your attention by the way? Like how did this all like how did you start doing this research and this discovery? [00:06:57] Dave: Sure. So, I’ll give a little bit of background. Me and my family we moved over to China about early in 2017 or actually I guess middle of 2017. We moved over there for about a year and like you alluded to, I had two dreams growing up. One of them was to play for the Vancouver Canucks and one of them was to be a journalist. And anyone who could see me play any sport knows that the first thing is not going to happen so I can pretend to be an investigative journalist. And one of the things that kind of attractive me while I was over in China was seeing this huge influx of popularity with selling on Amazon. We think here in America that there’s a lot of marketing and get rich basically schemes going around Amazon. Everybody’s promoting through Amazon. Well, it’s nothing in North America compared to how it is in China. Everybody and their dog wants to be an Amazon seller in China. So, the popularity of selling in China is absolutely huge. So, when I see this happening around me as we’re living in China, I just want to kind of dig in and see, “Okay. What are these Chinese sellers doing both from a good and a bad perspective?” And obviously, in this podcast, I think we’re going to focus more on the bad part of things, but like I mentioned, it’s good for everyone to be aware of what’s going on. [00:08:10] Scott: Yeah. I’m interested in learning this, and again, also hearing like what we can do to protect ourselves in a sense, or at least best efforts. I mean, I know there’s not like going to be like this bulletproof vest that we can put on our businesses, but we can be on the lookout and I think also talking about like the importance of building a brand and not relying on that one channel. So, yes, where did you first discover that some stuff? I mean, I know you were hearing about that stuff but what kind of got you to dig in a little bit deeper? [00:08:41] Dave: Just basically every time that I would go see a supplier I would basically hear them talking about Amazon. And so, I start digging a little bit deeper and deeper and just talking to people and it was amazing. So, we lived in an apartment block in Xiamen in China which is in Southern China and it was amazing just how many people I would talk to or my wife would talk to that were actually Amazon sellers. And I remember the first thing that always kind of perked my ears was I was talking to one of our acquaintances and we’re talking about selling on Amazon. He was just getting started and he’s like, “So, how many fake reviews do you think I should buy?” And it wasn’t, “Do you think I should use fake reviews?” The question was, “How many do you think I should buy?” So, that’s when it kind of alerted me and this was about this is kind of early in the beginning and it kind of made me aware, okay, Chinese sellers are kind of playing by different mindset than a lot of other sellers. [00:09:35] Scott: What is that mindset? Like, what is their strategy? It’s just kind of get out there? Is it hijacking more so or is it creating their own listing with their own product and kind of trying to game the system as far as sales and reviews? Or like what is their angle? [00:09:50] Dave: Well, I guess I should point out here too. I’m not trying to throw Chinese sellers under the bus. [00:09:55] Dave: Because the truth of it is my wife is Chinese so I definitely have nothing against Chinese people at all and this is not an ethical thing of Chinese people being less ethical than North Americans or vice versa. What’s happening though, in China, it’s kind of a result of a couple things. So, Amazon is heavily going after Chinese sellers in China and their mentality is that, well, Chinese sellers are closer to the source and most products are coming from China. So, their mentality is that Chinese sellers are closer to the source and therefore they’re going to have cost advantages and be able to offer lower prices to consumers. So, Amazon pretty much every week there except for Chinese New Year is hosting some type of event in China trying to recruit Chinese sellers onto the platform. So, there’s this huge demand from China for China sellers. There’s this huge popularity in China amongst Chinese people about selling on Amazon. People have heard about their friends and acquaintances and family getting rich selling on Amazon. So, you have these two forces. Chinese people that really want to get started with their Amazon business and Amazon heavily promoting it and combine this with a ton of money around selling on Amazon. We all know that selling on Amazon is still a pretty good business. So, you combine all those things and what happens? You get greed. And so, that’s kind of what’s happened is that Amazon promoting it so heavily amongst Chinese sellers, Chinese sellers wanting it so badly, it’s just created an atmosphere where people are pushing the envelope a little bit harder than perhaps they should. [00:11:29] Scott: So, maybe we should talk about that. So, how are they pushing? You talked about fake reviews and stuff. So, what’s happening? Like, what’s their mindset as far as like are they doing the typical like product research like we are, using the same tools, and then finding the ones that they think they can go in and launch and then from there not playing by the rules? You know what I mean? Like, so what’s their plan of attack? [00:11:55] Dave: Yeah. So, the mindset is and this is basically the mentality and it goes for North American sellers too but reviews equal money. So, as pretty much every listener probably of this podcast knows, if you have no reviews, you have no sales. If you have poor reviews, you have poor sales. If you have great reviews, you have great sales. So, that is in their mind. Okay. How do we get reviews? And that’s a big part of where these tactics come around. So, the question becomes like I mentioned even with that acquaintance I bumped into, how many fake reviews should I buy? It’s kind of that mentality. And so, when it comes to reviews, there’s a few different angles that they’re approaching this with. So, the first way and we’ve probably all been privy to this is just straight up fake reviews. This is kind of some of the older tactics and this was really popular in 2017, earlier this year. Basically, there are services in China with thousands of zombie accounts and these are fake buying accounts from Amazon and you can buy reviews from these services. They range anywhere from $1 all the way up to $20 and that price is being heavily dictated upon basically how likely Amazon is to be able to detect these reviews. So, Amazon does have some algorithms for detecting a fake review. It basically comes around how likely they can detect that the account is fake. So, if you see an account, you make it look like a real buying account, you have lots of buying history, you’re shipping it to a real address in America, the item is less likely to be detected by Amazon. So, that price for review is really dictated upon that how likely Amazon is detected. So, that was kind of the strategy earlier on was that sellers basically buy a bunch of fake reviews anywhere from $1 to $20. Now, as what a lot of listeners might’ve heard about, Amazon’s getting pretty sophisticated in sniffing out these reviews. So, that tactic is becoming less and less powerful. Fake reviews don’t work as well as they used to. So, now what a lot of sellers are doing and this becomes really, really, really, really bad for lack of better words is Amazon sniffing out these great reviews for sellers. [00:13:58] Dave: So, what do you do now? If you’re a seller and you want to kind of damage your competition, well, you buy a bunch of fake reviews on to your competitor’s products and Amazon’s now great at detecting these reviews so what Amazon sees is, “Hey, Dave just all of a sudden had 55 star reviews put on his listing and we can tell these accounts are all fake that they’re leaving these reviews,” and then they go ahead and Amazon suspends me. So, that’s kind of one of the more nefarious tactics that’s going on right now in terms of reviews. It’s basically planting fake five-star reviews. You think that your competitors plant fake one-star reviews on your products? No, they’re basically planting fake five-star reviews on your products and what’s happening is your account is getting suspended sometimes permanently. [00:14:46] Scott: Quick question on this. So, like as I’m listening to this, also I’m curious. Are you finding or have you found, maybe you know the answer and maybe you don’t but are you finding that it’s would like more competitive products like ones that would yield a lot of sales per day, per month or is it just across-the-board just whatever they want to go after? [00:15:07] Dave: Yeah. I mean, and that’s kind of I guess a good take away from this. It’s definitely the higher volume products. It’s just there’s more money to be made. I’ve been fortunate I’ve been in niches now where I’ve never been privy to these types of attacks and I think a big part of it is because I’m targeting fairly low volume products. And a low volume product in Amazon now can mean $10,000 or $20,000 a month. But when you start getting into these products where they’re selling six figures a month, that’s where these types of things are going to happen more and more. And I’ve talked to a couple people in the past, unfortunately, a month, who have been subject to these attacks. What you can do is you really have to monitor it and have your finger on it. If you see it happening, first thing that you should do is alert Amazon to it and say, “Hey, we see all these reviews coming on to our listing right now. What can you do about it because we don’t think these are real?” And basically, it’s always better to alert Amazon before you’re suspended about something which might cause a suspension than after. [00:16:03] Scott: Yeah. Are they having to purchase to leave those reviews? Are they just going on there and leaving their reviews? [00:16:09] Dave: No. As far as I know, they’re purchasing them. Like I mentioned, they’re purchasing them from accounts which are more likely to be detected by Amazon so they have no purpose for the actual seller. They don’t want to take that danger of having those reviews planted on their item. So, what do you do? You sabotage your competitors. [00:16:28] Scott: Right. And so, I guess what I’m asking is, is like if they didn’t actually purchase the product then would they still be able to leave the review? Because I was actually hearing recently that people are finding that if they haven’t purchased the item that they’re not able to leave the review and I don’t know if this is across-the-board or if it’s just certain accounts or I don’t know. I think that that’s probably what it’s going to come down to. It’s the only way that they can really monitor it and again, then you would have to have a seasoned account like they do but then they would also have to physically purchase those products. [00:17:01] Dave: Yes, and it is one thing that Amazon does appear to be cracking down on and I’m not 100% sure but I suspect it could be a part of what’s going on here is that Amazon realizes, “Okay. There’s a little bit of a loophole in the system where you can basically sabotage your competitor’s products.” But with that being said, a lot of those reviews because of this verified review mechanism where you need to actually purchase product to get a verified review and sometimes even to leave any type of review, these services will actually buy the product and a lot of times either depending on the value of that review to the person, either simply throw the product away or simply buy the product, leave their verified review, and return the product for a refund. [00:17:40] Scott: Yeah. Sneaky. That’s bad stuff. [00:17:43] Dave: Yes. Now, it does get – that’s actually some of the stuff that a lot of people are familiar with. Now, here’s where the insider, corrupt Amazon employees take effect. Okay. So, in Amazon there are thousands of employees in Amazon both in the warehouses and in their back office and what’s happened is that there’s basically corrupt employees at Amazon who are leaking, among other things, reports which we’ll get into I guess in a couple of minutes here but they can also do things like delete reviews and also give you access to reviewer information. So, listeners might be aware whenever you’re trying to figure who’s left a review on a product on Amazon, it could be really tricky. In fact, the last few weeks Amazon seems to have removed their profile ID from review. So, even using software it’s a little bit tricky to figure out who has left a review for a product. So, what these sellers can do is using one of these corrupt employees. They can say, “Hey, here’s the URL for the review that I have,” and they basically pay them off with a small amount. I think for a review to get the reviewer information I believe it’s up $20. They say, “Okay. Here’s the URL,” and what that employee will do is give that seller the full contact information of that person who left the review and they’ll include a name, a phone number, and a real email address. So, what they can do with that real email address, obviously, they can contact and say, “Hey, we see that you left a negative review. Would you like some money to remove that review? Would you like a free product?” And you can do this all away from the eyes of Amazon so you can be a little bit more daring with trying to get those negative reviews removed. [00:19:22] Scott: Wow. That’s crazy. So, there’s like a regular employee that has access to that. So, what type of employee would have access to that to be able to, you know what I mean, like is it a warehouse worker or is it someone that’s actually in the main office? Like, who would have access to that? [00:19:37] Dave: Well, me as a warehouse worker, as a former warehouse worker of five days, I never had access to this information. My understanding is pretty much anybody working in an office job, they have access to Amazon’s VPN and depending on the level of access of that employee but it does seem to filter down to most employees working in an Amazon office to have access to some type of reporting from Amazon and that’s countries, international. So, not just of Amazon China but of America, Canada, Europe, and everything. So, anyone working basically at middle to senior job seems to have access to this information. [00:20:18] Scott: And so, like I’m just trying to put my head around this. So, like if someone was on the insider, they like building like their own little network so they can almost advertise their services? [00:20:29] Dave: So, how it’s working is generally there’s this Amazon’s insider employees. Now, they’re not going to individual sellers and marketing their services. Probably there’s a middleman in between that basically connects the sellers to these insider employees. So, I say, “Hey, I want to get the contact information of a review.” I will contact the service provider and the service provider will contact that employee. The service provider will them provide me that information. [00:20:55] Scott: So, he’s like a middleman in a sense. [00:20:56] Scott: So, he’s kind of like the broker. [00:20:58] Dave: He’s the broker, yes. [00:21:00] Scott: Wow. Okay. Wow. My gosh. [00:21:03] Dave: Now, just before we wrap up on the reviews, now the other, now this is where things get even more dicey is, is one thing getting buyer information, actual buyer information review but this is where Amazon is they have become very defensive about reports of this happening but there are people buying review removal. So, you get a bad review, a lot of listeners probably know if somebody leaves a review on your product, Amazon can actually delete reviews. If it’s a review with a bunch of cussing and swear words then Amazon won’t review it. So, what you can do is using one of these service providers and insider employees at Amazon. You can actually pay to have your negative reviews removed. [00:21:45] Scott: Yeah. It’s insane but, again, it’s a giant platform where there are sellers on there and it’s a game now in a sense to where you have to figure out how to play by the rules of Amazon, but then also get around anybody that’s doing black hat stuff on this platform. So, no one is really like 100% safe if you will unless, I mean, are they? Is anybody really 100% safe any business, any brand? [00:22:15] Dave: No. I mean, if somebody wants to sabotage you, it doesn’t matter if you’re an Amazon business or a brick-and-mortar retail store or whatever, if somebody has a vendetta and they want to sabotage you, they’ll figure out a way. Now, that being said, I mean, if you have great products and you have great reviews, you never have to worry about your competitors buying negative reviews to be removed because you have great products, 4.8, 4.9 stars, you’re great already. If your competitor is faking their way to 5.0 stars, well, it’s not going to be that much of a competitive advantage if you’re at 4.9 stars. [00:22:50] Scott: Yeah. I guess I’m just thinking of it even if I am at a 4.8, 4.9 and then they come in and they throw some negative reviews on my account that’s going to drive myself down but like you’re saying then if you become aware of that, you can notify Amazon, they could probably sniff that out and then possibly remove them. But it’s possible. It’s possible, but possibly not too. [00:23:09] Dave: Yeah. I mean, with everything Amazon and trying to rely in Seller Support to fix a problem it’s always a little bit of a dice roll. [00:23:16] Scott: Yeah. So, let’s talk about this real quick. So, what are your thoughts as far as moving forward on this platform and protecting yourself the best way possible? Is it simply don’t go after products that are like selling like this many units or is it something else? [00:23:37] Dave: I mean, I think right now Amazon’s in a bit of a situation where they’ve created a beast that’s kind of out of their control. I think it’s almost like Google was many years ago where you could game Google with buying links and doing your traditional SEO tactics. And eventually, Google got smart enough now where pretty much SEO, in my opinion, it’s fairly dead. If you write the best content, Google’s pretty good at sniffing it out and figuring it out. There’s not a lot of games to be played. Amazon’s in a situation right now were games still work. You can still game Amazon. Now, hopefully, Amazon will get more sophisticated. The more attention that people like us bring to this matter, the more incentive Amazon’s going to have to fix these problems, get smarter and fix them. So, that’s hopefully one of the takeaways here. In the short term, yeah, I would not target necessarily extremely competitive products especially if you’re not prepared to fight fire with fire, so to speak. It’s probably better off. This is good product strategy anyways is to target maybe not low demand items but medium demand items. [00:24:41] Scott: Yeah. I agree with that. I mean, I’ve been preaching that for a long time. It’s like if you go after a product that’s selling 100 plus units a day or like you said, thousands of dollars, those are going to get the attention because if someone’s going to do all this work, they’re going to go after something that they can go in there and grab a big chunk or a bigger chunk versus someone that’s doing 10 units a day on a product that they’re making $100 a day. [00:25:06] Scott: But if you can just scale that out. And I also think too it’s like I think this should be a wake-up call for anyone. I mean, again, like you said like years ago, Google you’d throw up a niche site. You’d get it ranked. You’d get a whole bunch of traffic. You can throw some AdSense on it. You’d start making some money. Now, all of a sudden, one day you’re out of business because the rankings went away because they did a little Google slap. I just think it should be a warning for people that are thinking that they’re going to go out there and just create an Amazon business and that’s why I don’t like to even call it an Amazon business. I like to call it an e-commerce business. You just happen to leverage the e-commerce or the channel of Amazon, you’re actually an e-commerce brand, not an Amazon seller brand. [00:25:45] Dave: Absolutely. At the end of the day, we’re all businesses and it’s important to think of ourselves as whether it’s a business or an e-commerce business, but an Amazon business I agree. It’s taking away from all the other stuff that goes with creating a business. [00:25:58] Scott: Yeah. And so, like okay let’s just talk about that for a minute. So, like if you’re starting from scratch today and you’re starting an e-commerce brand, do you still launch your products on Amazon? [00:26:09] Dave: I think there is no getting away from Amazon. I think you do have to launch on Amazon and one thing we can also talk about at some point is some of the stolen reports which do give some insight in how the algorithm at Amazon works for ranking items, but I do think that you have to start on Amazon just because it is the 4,000-pound gorilla in the room and your business, I mean, as much as you can to diversify around it, you absolutely should but I do think that you kind of do have to serve Amazon. [00:26:43] Scott: Yeah. No, I agree. I mean, it’s still like they take a lot of the heavy lifting out, they got the traffic, they have all of the things in place for us to kind of get up and running quickly and get some momentum but I think also and like you just said, we should be building that outside channel or even just the leverage points that we can whether that’s an email list or whether that’s a Facebook audience or whatever it is so this way here you can drive those sales externally and not just rely on the algorithm inside of Amazon. [00:27:10] Dave: Yes, absolutely. Do you want to – maybe I can also just kind of touch on one of those other reports seeing that we’ve brought up the algorithm? [00:27:18] Scott: Dude, yeah. Do it. [00:27:19] Dave: And so, this is another way that these corrupt employees at Amazon are leaking information. We all are familiar as Amazon sellers that you can go into your Amazon account and you can download certain business reports. You go to Reports, Business Reports, and you can see things like how many sales an ASIN is getting, what the conversion rate on those products is, and a few other things. Well, what these corrupt employees at Amazon can do is they can basically steal those same reports for any product you request. So, I can go to one of these service providers and I can say, “Okay. Scott’s selling a garlic press. I’ll take, give them the ASIN, and I’ll mail this so they can give me a report of all Scott’s sales I believe for the last three years, the breakdown of month, the conversion rate of it, and a ton of other really juicy information. So, you can imagine how valuable that is. Now, aside from that, though, what this is where we get a lot of insight about how the Amazon algorithm works is that you can buy something called an ASIN report. And these ASIN reports, what they do is they basically give you a breakdown of all the keyword traffic on Amazon that’s being driven to your listing. So, if you’re selling a garlic press, you can see all the keywords that people are searching for to get to your listing. Then you can also see a breakdown of what percentage of people actually click on your listing when they search for that listing or for that keyword, what percentage of people go on to add that item to their basket, and what percentage of people go on to actually purchase that item. So, you can know if you’re selling garlic presses and every time somebody searches for a garlic peeler, 50% of them go on to purchase your item. That’s basically a significant factor of how your item is being ranked on Amazon. And this is all something I think most of us kind of know in the back of our minds that, “Hey, conversion rate is a huge ranking factor in Amazon,” but seeing these internal reports, we can see that Amazon is explicitly tracking conversion rates down to the keyword level and how your items convert for certain keywords is 100% going to affect how you rank for it. [00:29:20] Scott: So, let me ask you this. So, what is the strategy that you would be using if that was the case and you didn’t have like those reports? So, what is it if you’re not cheating like because there are tools out there. I believe Scope is one, Jungle Scout is one now. They have a keyword tool that allows you to kind of reverse, do an ASIN search and all that stuff, and kind of gives you an idea of how many sales are being generated through there, I don’t know exactly if those are 100% on. But so, like what’s your strategy to do that? [00:29:55] Dave: So, I mean, in the sphere that I’m in, I’m in the off-roading 4×4 sphere, we get a lot of searches around the Ford F150 cover. Okay. So, we can tell from that search if you have the ASIN report, a lot of people are searching for this, a lot of people are clicking through to our listing. Now, maybe they get to the listing and they’re not sure. Okay. Does this actually work with the Ford F150? So, you can actually talk to that need of that search query in the listing “Works for Ford F150” or the big checkmark. It basically appeases any of those spheres and address that individual search. Rather than try to be a one-size-fits-all listing, if you can actually address the potential needs of that search, you can potentially create a higher converting listing. [00:30:38] Scott: Yeah. That makes sense because like you said, you could be coming there for a garlic press but if it’s a 6-inch garlic press and that’s what people are coming there for and then they’re buying it, and if you make that known very clearly then your conversion should go up. [00:30:52] Dave: Absolutely. And at the same time if you’re trying to, if you try to go after non-relevant keywords, and sure you’re getting a lot of people through your listing, but like you mentioned, you’re selling a 6-inch garlic press but yours is a 12-inch and nobody’s converting, there is really no point in trying to go after those keywords. [00:31:07] Scott: Yeah. Okay. So, then let me ask you this. If you find that you are wanting to go after those keywords that you think are and to kind of get the intel because you won’t know until you get traffic going there, is it as simple as doing your own type of launch whether that’s pay-per-click, whether that’s your email list or what is something that you would recommend? [00:31:33] Dave: I mean, I do think a lot of it does begin kind of before you actually have the product. So, seeing why the search traffic is for particular products and going after those products before you’ve actually had them in stock. So, if people are searching for neon green garlic presses before you even develop the product, you can see that there is search traffic for this, develop that product, make it the best neon green garlic press out there, make it the most neony garlic press. [00:32:03] Dave: And that way when people do you find your listing, maybe in the beginning you have very low traffic too for that search keyword but your conversion rate is through the roof and then eventually you’re going to get that sales velocity effective and the flywheel spinning and over time you will get more sales. I do think a lot of it does kind of begin at the product development stage before you have the products in. Sometimes it’s hard to do anything retroactively but preactively or whatever the word is for retroactively, that’s the time to do it. [00:32:34] Scott: Okay. Yeah. Yeah. So, do a little bit of that investigative work upfront as far as the keywords that are around that and then if there’s something that lends itself to a style or size or something like that, that’s where you would kind of do that and then make it really, really fit that criteria so, yeah, I love that. I love it. And again, I mean, I don’t think there’s going to be like a magic formula. There’s not like you’re going to do exactly all this stuff and it’s going to work perfectly but at least it will give you a better chance and I think also give you a little bit of a head start because I think that’s also like once you start getting the velocity and you get that flywheel spinning, sometimes it’s hard to stop. If you get it in front of the pack, it’ll be a lot harder to kind of catch up to you. [00:33:21] Scott: Okay. So, what else? You got anything else there? You got any more dirt or you got any more tips? What you got for us? [00:33:26] Dave: No. I mean, I think the only other thing which to be aware of and this is one of the things which is very rampant in China especially is the use of multiple seller accounts and this is one that’s going on in North America too. Again, most listeners probably know that you’re only allowed to have one seller account unless you get permission from Amazon. Amazon’s pretty strict now giving people permission to have a second and third seller central accounts. So, what’s happening is a lot of sellers are opening up multiple accounts and a lot of people are probably aware this is going on but it’s absolutely amazing at least in my experience, I have talked to, almost every Amazon Chinese seller I’ve talked to have multiple accounts. I remember talking to a friend who works for a large pet company in China and he literally had a diagram with a bunch of arrows and the Venn diagram connecting all the Amazon accounts. He had several Amazon accounts and they’re basically trying to keep track them all to make sure nobody’s logging in with the same IP to the same seller central account and basically alerting Amazon to what’s going on. And by having these multiple accounts, what they’re allowed to do is obviously push the envelope a little bit harder. If you have one Amazon account, you don’t want to risk that being banned because once you have one that’s gone, you’re done. But if you five, you can basically you have four get out of jail free cards and you can push that envelope quite a bit harder. [00:34:47] Scott: Yes, so multiple accounts. That seems like, again, a lot of work and a lot of stuff to manage but so are you saying though that these multiple accounts are really being used for something that I could, not myself, but people can reach out to and say, “Hey, I need you to do this for me,” and then that way there they can use those account. If one of those gets banned they’re still up in business or are you saying these are actually seller’s accounts that they’re actually selling product through? [00:35:14] Dave: Yeah. It’s actually seller accounts that they’re selling products through. And so, they’ll sell a product through one account and they’ll push the envelope whether it’s with fake reviews or other nefarious tactics. That one gets banned and then they can go on to another account and so on and so forth. [00:35:26] Scott: Got you. Yeah. Just, man, it’s a crazy world and a crazy channel right now. I do think that over time like you said, and they already have like they’ve already started to kind of fix things but there’s always going to be those black hat strategies. Even still right now, I guarantee there are black hat strategies for SEO. They’re still trying to push the envelope. It’s still working but it might be a ton of work to do, their services, but again, is it a short-term? Is it a long-term? How long can you stay in the game? And also, should you be banking everything on that one channel? I think the answer is no but so many people they kind of fall into the Amazon crack as I call it. It’s kind of like the drug. It’s like once you get that drug, it’s like it’s hard to get off because the traffic’s amazing. The conversions are generally crazy because it’s a search engine for buyers. How do you do that outside of there and get similar results without having like a massive audience or a massive influencer? It’s just it’s hard to beat. [00:36:29] Dave: Yeah. Absolutely. And hearing this type of stuff, these types of things that are going on, it’s really easy to stress yourself out about and lose sleep over. I was one of these people. Even back in 2016, I was terrified of all the competition coming on board and basically what happened is I sold my company and a big reason was out of fear. Flash forward two years, the guys who bought my company they’re still going strong. They’re not doing anything black hatty or anything. They’re just running a good business and it’s easy to stress yourself out about these things. Be aware of it, be cognizant of it, but at the end of the day if you’re offering great products, you’re running a good business, you’re offering good customer service, hopefully like you mentioned, Scott, these things kind of sift out over time and, yeah, it might work in the short-term but in the long-term as long as we’re all building strong businesses, hopefully, we can weather the storm so to speak. [00:37:20] Scott: Yeah, and I think that and that Amazon is also I think they’re going to be even further in the future. They’re going to be rewarding brands like I think brands that do have good customer service and do have steady sales and to me, they’re a real brand and I think that’s where it will start to head but, again, are you able to put in the time and the effort to do that versus just going and trying to launch product after product after product? I mean, I’ve heard so many people they’re like, “I want to just keep launching products. That’s the way that I’m going to make more money, just keep launching more products.” And when the two or three that get hacked or get hijacked, I’ll just cut them and I’ll go on and I’ll just launch three more. That sounds like a terrible strategy to me because you’re always trying to just stay ahead by launching new products. [00:38:05] Dave: Yes, absolutely, and I’ve been like that for my entire e-commerce career to stick to a niche, kind of build yourself out, and be strong in that niche and you have a lot better long-term success doing it now but then being kind of all over the place like you mentioned, having one product and that’s one day and one in kitchen the next, then one in gardening a week from now. [00:38:23] Scott: Yeah. It sounds like it’s a lot of work. [00:38:27] Dave: Absolutely. It sounds like more work than it needs to be. [00:38:29] Scott: Yeah. No, I appreciate it. All right. So, is there anything else you want to wrap up with before we say goodbye? I mean, I really appreciate you coming on and giving us this. I know you and I were trying to connect and our schedules weren’t aligning but, I mean, this is again I don’t want to scare people, but I want people to be aware and I think if you’re aware then you can kind of look at your business a little bit differently and you can adjust but also take those measures to hopefully sure up things a little bit and create that brand. So, is there anything else you want to wrap up with? [00:38:59] Dave: No. I think that’s pretty much it. Stay positive and don’t fret out about this stuff too much. If people want to see the full article, they can head over to EcomCrew and they can see some examples of the reports, but other than that, just stay positive. 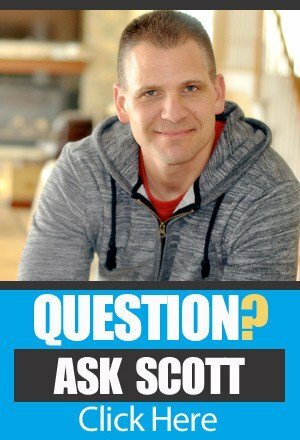 A lot of stuff that you talk about and preach about here, Scott, on the podcast I’ve been a listener for a long time, these are the true tactics that you really want to apply to your business, not the stuff that we’re talking about here, but at the same time you want to be aware of what’s out there. [00:39:28] Scott: Yeah. I appreciate it, David. And, yeah, if you guys want to check out more EcomCrew, go check them out and I’ll leave everything linked up in the show notes and I’m sure we can leave a direct link to that article so you guys can go read it and just really be informed about this. Again, not to be scared, not to be afraid, but just be prepared and to also take those measures to sure up your brand. So, David, thanks a lot, man. I appreciate you coming on and I’m sure we’ll be in touch and keep me posted on any more dirt, man. You’re going to be my insider addition here for the podcast. [00:40:03] Dave: Thanks a lot. It’s give-and-take as I listen to the podcast all the time. [00:40:05] Scott: Thanks, David. I’ll talk to you soon, man. [00:40:10] Scott: Okay. Let’s take a deep breath on that one. That can be scary like a lot of things to think about and the one thing that I would like to say is it might just be a little bit of a wake-up call for all of us, including myself because you’re thinking that this channel that you’re leveraging is going to be able to work for you and your business and it probably is right now, and maybe even upwards of $25,000 a month or maybe $100,000 a month and 95% of your sales are from there and that’s awesome and you’re celebrating but then all of a sudden, you listen to this and you’re like, “Oh my gosh, like we’ve got people like that coming in like that’s pretty dirty like that’s pretty scary.” So, we need to start thinking of ways that we can really protect ourselves, but also give ourselves more protection by creating a brand, a true brand. And I’ve talked about this recently. I’ve talked about building a list. I’ve talked about using other platforms, building your own funnel, building your own Facebook audience inside of your ads, kind of using the strategies that I’ve outlined in Whiteboard Wednesdays. If you’ve missed that, you might want to go over and check out TheAmazingSellerTV.com and subscribe because I talk about how to really put up these videos or content on Facebook – I almost said YouTube – on Facebook and then drive traffic to those and then let the audience be built by how many views they’re getting, or what was the percentage of views or the type of interaction and then you’re building an audience technically over there and people are getting to know, like, and trust you, and then you can always direct them over to Amazon if you want to or your own e-commerce platform, whatever, but these are things that we need to start thinking about. But when you started your business and you started on let’s just say it’s Amazon as the channel, you weren’t really thinking about becoming a marketer or a salesperson. All right. So, we want to build protect ourselves. The one thing I do want to highlight that David said and he agreed with is really finding those products that are selling 10 a day or 15 a day or 20 a day. You get upwards of 50 to 100, it’s getting more attention from these other black-hat type outfits because that’s where they want to go. They want to put all their energy into that because they can game the system. And is Amazon going to eventually come down on these people? Yeah, probably, but it’s going to take a little while and they got to figure out the next loophole that was discovered and then they got to plug it and then someone else finds something else. It’s been happening with Google and SEO and backlinks and all that stuff for years. So, it’s not going to just go away. So, what you can do and what I’m doing and I’m hoping that you’re going to doing and we’re also talking about inside of our Inner Circle is really building out our brand. And also learning marketing and digital marketing and direct response marketing and all that stuff because once you learn that skill set, your competition probably doesn’t know it and then you’re going to have the advantage. [00:44:16] Scott: So, again, I’m going to give a little mention here again to our Inner Circle. Now, again, our Inner Circle is for higher level sellers, for sellers that are at least $25,000 per month in revenue and also, they’re just thinking outside the box or they want to think outside the box. They want to surround themselves with like-minded people. They want to be pushed into a new direction in a sense, not forgetting about Amazon at all. If anything, we’re going to optimize that even further, but we’re going to be able to build out these other assets to really ensure that we have a brand that is protected, but also when you want to sell it, if you ever want to sell it, you’re going to get more for as well. But it’s really about surrounding yourself with those like-minded people and having a network that you can tap into so this way here you have a little bit of an advantage, actually, a lot of an advantage moving forward. So, if you’re interested in applying, it is application only, we are very strict actually on who we let in because they have to meet certain criteria but they also we got to make sure that the group is going to really complement in each other. So, if you’re interested, if you want the details, head over to TASInnerCircle.com and you get all the details there. You can fill out an application, and we’ll generally get back to you within usually 7 to 10 days. So, depending, because we usually review those once a week and then we go ahead and we will send out the invitations that you’ve been accepted and you’ll go through the next phase of getting onboarded into our Inner Circle. So, if you’re interested, TASInnerCircle.com, all the details there and again, maybe you’re not there yet. Maybe you are working towards the 25,000 then, yeah, just keep working on that, keep working on growing your business, and scaling your business at a pace that you can keep up because I see some people they want to scale too big, too fast, and that’s not the way to do it either, but just build out your product suite with at least three to five products that complement each other. [00:46:11] Scott: Start building your email list, start building your Facebook ads audience as we call it as kind of like we’re creating these audiences inside of Facebook, not just building a Facebook fan page and getting likes. That’s not we’re talking about. And again, if you missed that stuff, the strategies that I’m talking about, go check it out on YouTube. It’s on our channel, TheAmazingSellerTV.com. It’s totally free. Just go over there. Go through PACE as well, P-A-C-E and if you don’t know what that is, you want to go through that PACE series that we did which is four pillars to building a successful brand. So, definitely go check out that at TheAmazingSeller.com/PACE. All right. So, the show notes to this episode can be found at TheAmazingSeller.com/581 and I look forward to seeing you back here on the next episode. All right, guys. So, remember, as always, I’m here for you, I believe in you, and I am rooting for you, but you have to, you have to, come on, say it with me, say it loud, say it proud, take action! Have an awesome amazing day! And I’ll see you right back here on the next episode.